Furniture makes for one of the most essential assets that we have in our homes. It provides aesthetic appeal to any room and at the same time is purposeful too. So if you just moved to a new house or are willing to replace your old furniture pieces, your search for the best furniture might have begun by now. While furniture shopping can be a fun activity on the whole, you must refrain yourself from getting carried away in excitement. This is what most of the people do not realize and hence they commit mistakes that they have to pay for later on. Some of the most common mistakes have been mentioned below. What is good is that all of them are preventable provided that you are cautious enough. Inappropriate size – Furniture should not be bought as soon as you make your mind. Take enough time to measure the height, width and other such dimensions that are required for buying a furniture piece. This is advised so that the purchased furniture easily fits in the desired place. Clashing colors – Make sure to analyze the color schemes of the rooms that are to be furnished. Many people buy furniture that looks good when displayed at stores only to realize that it does not match with the color of the walls and the theme of the house. Styles at odds – Just as some colors conflict with each other, in the same way some styles cannot look good together. Take for example, for vintage themed rooms, it is best to avoid placing modern furniture no matter how much you are liking it. When people visit a furniture store, it is probable that they will land in dilemma given the choices available to them. They may purchase a piece that instantly catches their eye but will face disappointment if it does not match with the style in their home. Quality vs style – It is good to buy furniture that is gorgeous to look at. What can be better than finding furniture in just the right design and colors? However, quality should be your top priority. Even if a furniture piece is attractive on the outside, what good will it do if it is not strong on the inside. Most importantly, think about how many years a poor quality furniture piece will be able to survive. Hardly a year or so! Thus, it is better to look for quality first and then other things when indulging in furniture shopping. Quality vs price – Although budget is an important factor to consider in any kind of shopping, you must never compromise with the quality of furniture at any cost. 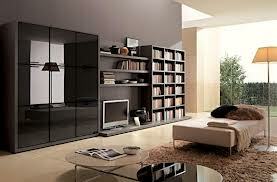 If you are required to spend a little more than what you expected on supreme quality furniture then do not hesitate. Know that saving bucks by purchasing low quality furniture may make you happy today but its quality will disappoint you in the long run. So, choose quality over price and you will be glad that you did so.